The ROTOPLAT 3000 automatic turntable stretch wrapping machine. The Rotoplat 3000 HD is an automatic turntable style stretch wrapper designed to provide a rugged, compact, high capacity automatic stretch wrapping solution. 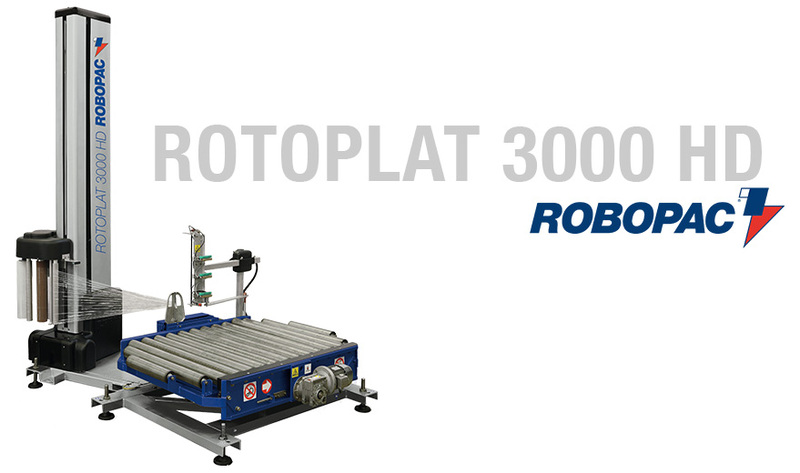 Robopac’s commitment to provide “Innovation Driven by Value” ensures that the Rotoplat 3000 HD offers the highest level of technology within this range of equipment. This machine is available with many useful options like: 30” Film Carriage, Roping, Top Cover Placement, Top Pressure Hold Down and R-Connect®. If you are looking to increase productivity and lower TCO, the Rotoplat 3000 HD is the right stretch wrapping machine for you! 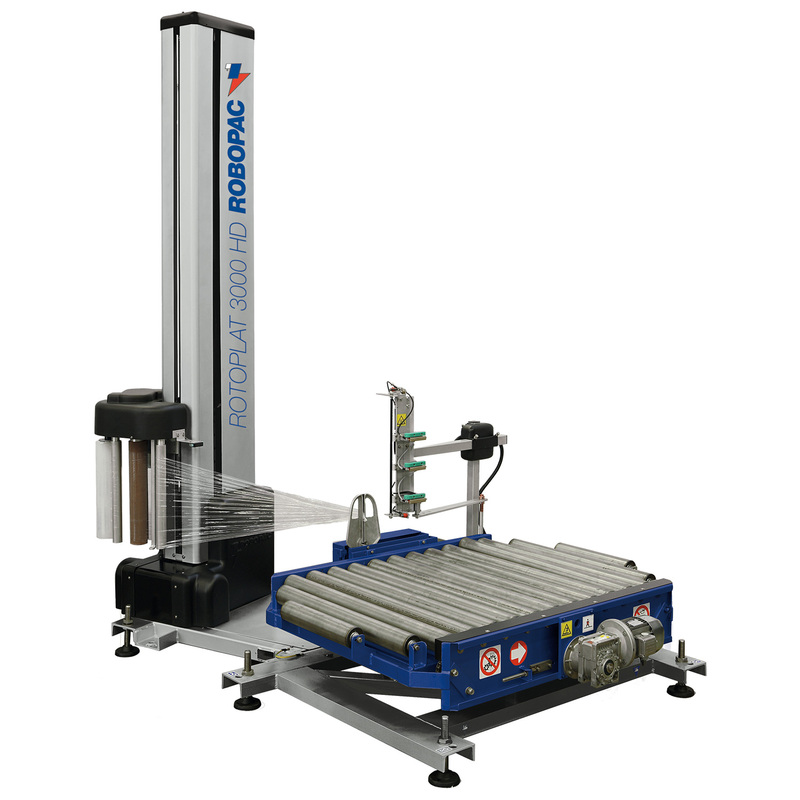 Max Load Dimensions (W X L) 40" X 48"
Load Height 20" - 80"
Standard Film Width 20" or 30"
Highly reliable, dual rod cutting system fully automates the wrapping process.